Preheat the oven to 400°F (200°C). Lightly spray a baking tray with oil. Pat your chicken dry and cut into chunks or strips. Prepare three shallow dishes such as soup plates on your kitchen counter. To the first dish add the flour, paprika, salt and pepper and mix until combined. To the second dish add the egg and beat well. To the third dish add the breadcrumbs. Coat your chicken chunks first with the flour and shake off any excess. Then dip the chunks into the beaten egg and finally coat with the breadcrumbs. Discard any leftover breadcrumbs and flour! Distribute the coated chicken pieces evenly on the baking tray and spray the tops of the breaded chicken chunks with oil. 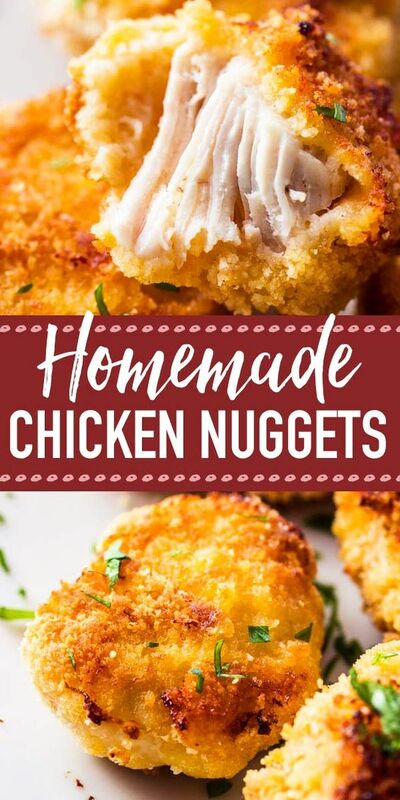 Bake for 20 minutes, turning the chicken nuggets once halfway through.